The Japanese have taken the art of bathing to a whole new level; transcendence. 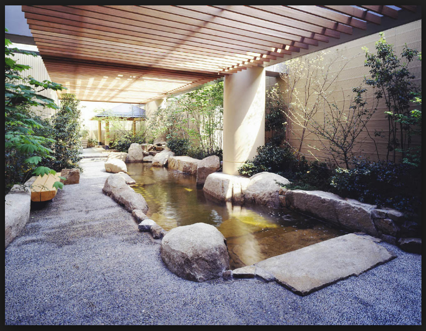 Years ago, most Japanese homes did not have any bathing facilities, let alone a bathtub or a shower. 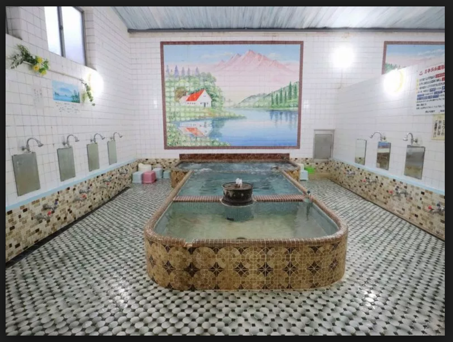 When people needed to bathe, they would go to the local bathhouse. These neighborhood bathhouses consisted of not much more than 10–20 shower stalls and a central hot tub. Simple but effective. Today, many old neighborhoods still have small bathhouses, often located down some narrow side street. Those old baths still have only a handful of shower stalls and one hot tub, with maybe a small steam sauna in the corner. For your pleasure. Your ultimate pleasure. Nevertheless, the Japanese have not abandoned the art of bathing. Instead, they’ve improved it, and taken it to a whole new level. Over the past few decades, a number of large, ultra-modern bathing complexes have opened in most Japanese cities. These sparkling new facilities might have 50 or more shower stalls, several hot tubs of various temperatures, a cold tub, a Jacuzzi, a jet bath, an outdoor bath or two, a tea bath, an herbal bath, an electrical bath (Yep, an electrical bath. Zap! 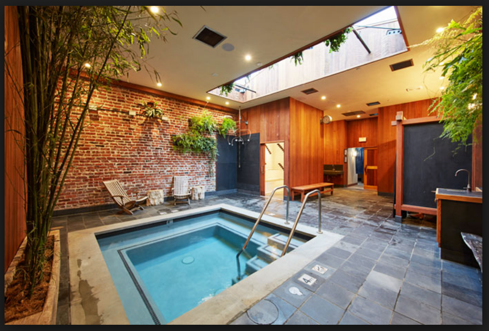 ), a steam sauna, a dry sauna … and maybe even a waterfall bath. Note re the aforementioned “shower stalls”: When taking a shower, the Japanese sit on small stools. 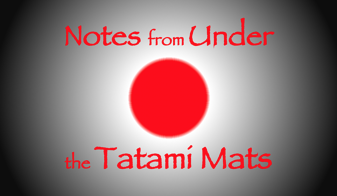 See my comment in Tatami Note #12 re "perfection" .